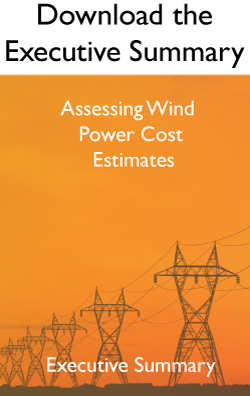 The Institute for Energy Research released a study titled Assessing Wind Power Cost Estimates. 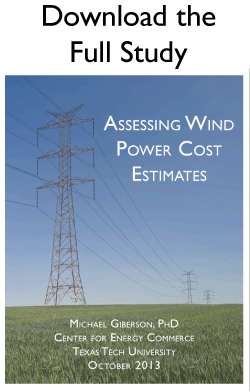 The study, written by Dr. Michael Giberson, an economics professor at Texas Tech University, details the costs of wind power that commonly go unreported in studies performed by government-funded groups such as the National Renewable Energy Laboratory (NREL). The study is published as the federal wind Production Tax Credit (PTC), a massive subsidy to the wind power industry, is set to expire at the end of the year. Last year, the PTC received another one-year extension that government analysts project will cost taxpayers $12 billion.